At TIRUMALA… “ Its not the darshan you get . It is the darshan ” LORD” bestows”. If this darshan is without any physical disturbance or interference by the volunteers , the soul dances in ecstasy. There is no dearth of pilgrims who wouldn’t stop gushing about their opportune darshan lasting for even a fraction of second or so with our beloved LORD while there are so many others who excitedly wait for Lord’s darshan patiently even for days . Tradition has it, that hands of man did not work for the dhruva bera ( Main deity )of Lord Venkateswara . The Supreme Lord with abundant mercy manifested himself in the present form that could easily be worshiped by mortals. It is described in Mousala Parvam of Sri Mahabharatam that when Supreme Lord Krishna decided to complete His incarnation, a divine play was enacted. After the fall of Yadu dynasty , Lord Krishna was resting under a tree in a forest with his feet on one another. A hunter from behind the thick grasses saw only his sole and toes. Mistaking the sole of the foot and toes that were pinkish amidst the thick grass and due to the distance he assumed it for a deer grazing in the forest. He shot a poisoned arrow that struck Lord Krishna lotus feet. The repentant hunter apologized and understood it was a divine providence that had the sanction of LORD and he was just a participant in Lord’s divine play . While Lord Krishna was preparing to ascend to Sri vaikuntam, the three crore demigods headed by Brahma and Paramasivan arrived and started glorifying LORD by reciting Purusha Suktam. LORD disappeared from this place Prabhasa Theertham near Dwaraka , in the form of parama jyothi. When the jyoti ( Efflugence ) reached Suryamandalam, it transformed into a deity and descended on Tirumala Hills . “While Sri Narasimha was the Lord of Kritayuga, SriRama (Raghunandana) was the Lord of Treta yuga, SriKrishna (Vaasudeva) was Lord of Dwaapara yuga, it is SriVenkateshwara (Venkata naayakah) who is the Lord of Kaliyuga. Thus , the devas as well as humans have HIS darshan at Tirumala. 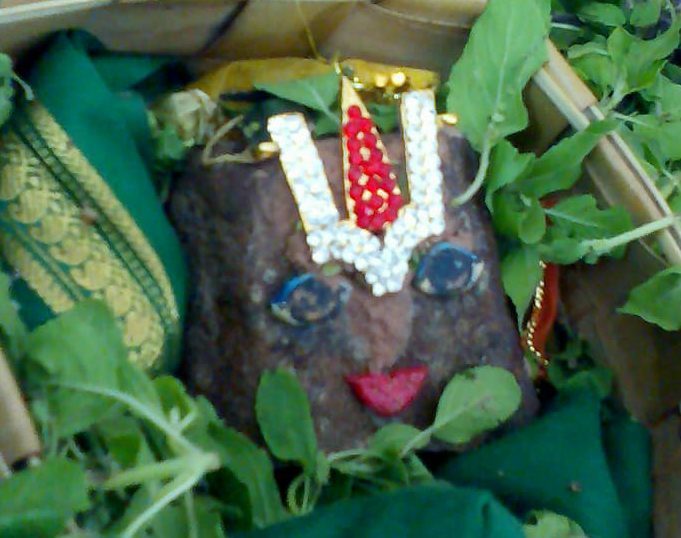 It is believed the devatas worship LORD in the early morning hours. Before closing the temple after Ekanta Seva , the priests at Tirumala temple fill the pancha paathirams with holy water for Brahma to worship the LORD .This holy water is distributed among devotees as theertham after Suprabhatam Darshan . 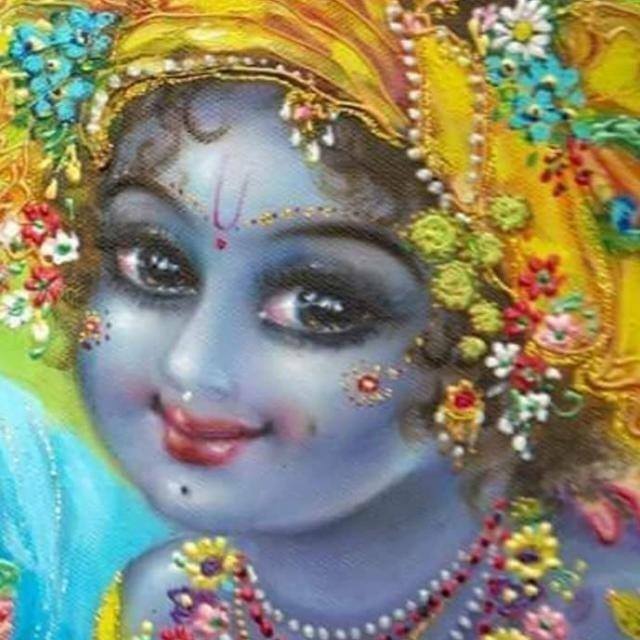 According to the Bhavisthyottara puranam, the great sage Vaikhanasa Rishi was always in the mood of Krishna katha and thus got addicted to the playful leelas of Lord Krishna in Dwapara Yuga . He did severe penance to obtain darshan of Lord Krishna. The legend reveals that Lord Krishna pleased with his devotion, appeared and instructed to worship HIM at Venkatachala (Tirumala) where he manifested for our upliftment. He further advised that a devotee named Rangadasa would help him to locate the holy place at Tirumala . Vaikhanasa Rishi overjoyed proceeded to Tirumala and with the help of the devotee Rangadasa worshipped the LORD ardently. Thus Vaikhanasa Rishi, according to the legend, is the first person to worship the Lord at Tirumala. Hence in this temple, to this day, worship is conducted according to the Vaikhanasa Agama (the guide lines instructed by the great sage Vaikhanasa ) almost since few thousand years ago. The Pallavas of Kanchipuram, Cholas of Tanjore , Pandyas and Vijayanagara Kings, few Englishmen like Thomas Munroe , Robert Clive , Williams were committed devotees of Lord Venkateswara . Long far-reaching queues do not matter to any of the pilgrim as long as they get to offer their prayers and remain in that bliss at this holy place. and come before HIM surrendering . Lord being omnipotent and omniscient listens to an ardent devotee’s prayer. The sincere thought of having darshan of LORD at TIRUMALA happens without any effort. Air / Train/ Bus tickets get confirmed , accommodations are booked miraculously and darshan happens as If……………………..
LORD wanted to see you so soon …………………………….. Even atheists and rationalists admit a sense of humility and the presence of the Lord as soon as one approaches the sanctum . Ten out of twelve Azhwars have glorified the LORD with almost 202 nectarine pasurams. The famous devotee composers Thyagaraja, Purandaradasar, Annamacharyar have glorified LORD in several Kirtanas . Annamacharyar had composed almost 32000 kirtanas which have become prayer songs in every house …. Its only the fortunate ones who develop faith in God and blessed are those who surrender to our LORD VENKATESHWARA …. Next postAt Tirumala …. Lord Venkateshwara Abhisheka vaibhavam …….. VenkaTAdri samam sthAnam brahmANDe nAsti kinchana … venkateSa samo devo …. na bhUto na bhaviSyati……..
– Tongue tied.. No words erupt…..Oh What a Blissful experience! – Adiyen Ramanuja Dasan Jai Sriman Narayana!